Meatloaf? Seriously? Easy, right? One would think..but like anything ground, it can turn out dry if not done correctly. Just like a hamburger, your ground needs to be 85% meat, 15% fat or it just won't work. Sorry, that is another Wyoming beef snobbery issue I have. 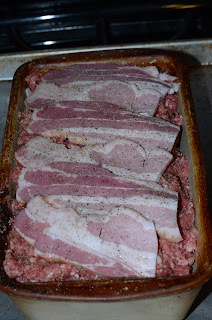 Anyway, the right ground, good seasonings, add bacon and cheese and you are in meatloaf heaven. Mix the beef, eggs, flour and seasons together gently, almost as if you are folding the meat. 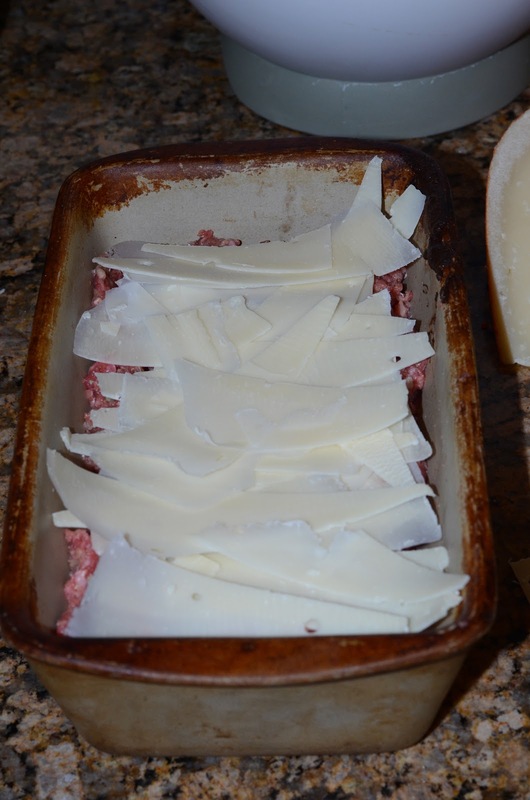 Place half of the meat in a bread pan and lightly poke holes in it. Layer the Gouda, salt and pepper a bit, and then put remaining beef on top, again gently poking holes. Top with slices of bacon that have been cut in half. Bake 45-55 minutes or until the meatloaf is almost cooked through. I prefer medium on my meatloaf, so the very center throughout is a light pink. Preheat large saute pan over medium heat and add the olive oil. Add the greens and stir so they are evenly coated, then add the stock. Put a lid on the pan, reduce the heat to medium low, and cook until all of the greens are tender. Salt and pepper to taste.